Fixes Level 4 door bug. Fixes Level 3 Infinite film bug. Stops IPhone 3G / Ipod touch 2nd Gen Uses downloading App (app needs 256mb machine). 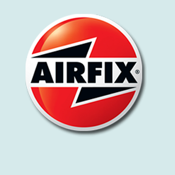 Take to the skies in a range of classic Airfix model planes. You can fly everything from vintage WW1 fighters to modern superjets as you buzz around a 3D house environment, completing missions, dodging flak from the ground and engaging in deadly dogfights with enemy pilots. Play against the computer or take on your friends with Game Centre action. Choose your craft from a range of classic Airfix kits – including superjets, science-fiction inspired planes and vintage WW1 fighters – all with different flying styles and characteristics. Battle enemy fighters in mid-air dogfights, or use your missiles and machine guns against land-based targets. Five missions come as standard, with more available through updates. The crisp 3D graphics immerse you in the frenetic action and make the most of your iPhone’s Retina Display. Compete for the highest score in the Game Centre and record your achievements! Tilt your phone to steer or use on-screen buttons to control your plane – the choice is yours. Requires iPhone 3GS,iPhone 4,ipodTouch 3rd & 4th gen, iPad & iPad 2.